While Apple was busy releasing new products on Tuesday, the company discontinued a couple of models from a forgotten product line: the non-Retina MacBook Pro. Apple didn’t make a formal announcement at its event, but if you go to the MacBook Pro section of the Apple Store, you find that Apple now offers only one model of the non-Retina MacBook Pro (you can also see its tech specs page). For $1199, you can buy a 13-inch laptop with a 2.5GHz dual-core Core i5 processor (Turbo Boost up to 3.1GHz), 4GB of 1600MHz memory, a 500GB 5400-rpm hard drive, and integrated Intel HD Graphics 4000 technology. 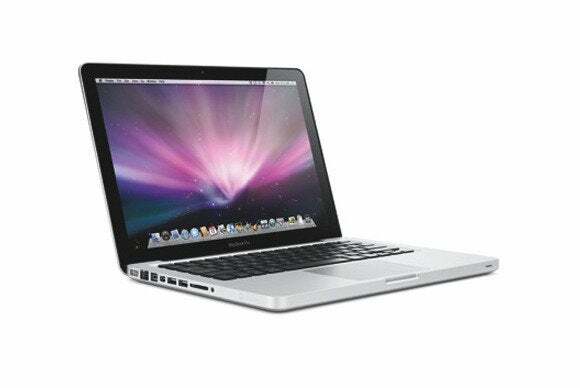 Although the laptop doesn’t have a Retina display, it does have a few features that many users still want, such as a SuperDrive, a FireWire 800 port, and a Kensington lock slot. The laptop also comes with gigabit ethernet, a Thunderbolt port (not Thunderbolt 2), two USB 3.0 ports, and a SDXC card slot. It’s only a matter of time before Apple phases out the non-Retina MacBook Pro completely. When Apple introduced the Retina MacBook Pro, the company continued to offer four models of the non-Retina laptop, two 13-inch models and two 15-inch models. Eventually, Apple eliminated one of the 15-inch models, reducing the line to three laptops: a $1199 13-inch model with a 2.5GHz dual-core Core i5 processor, a $1499 13-inch model with a 2.9GHz dual-core Core i7 processor, and a $1799 15-inch model with a 2.3GHz quad-core Core i7 processor.